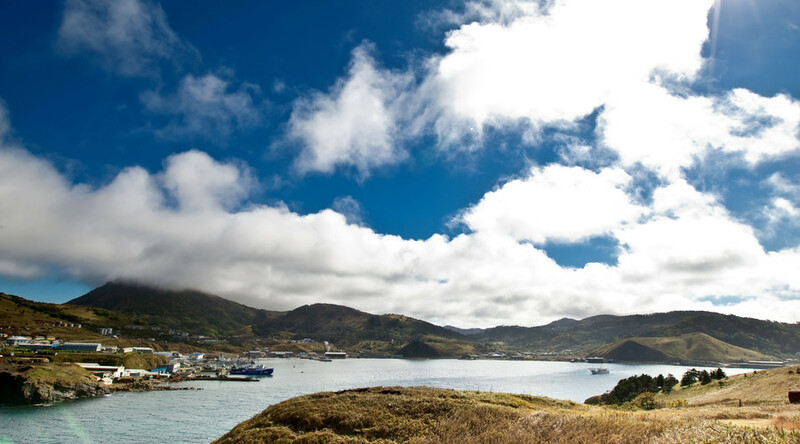 The overwhelming majority of Russians believe it is more important to retain sovereignty over the Kuril Islands than sign a peace treaty with Japan – even if an accord would mean access to new technology and cheap finance. According to the latest poll conducted by the Russian independent research center Levada, 78 percent of Russians are against any moves that would lead to giving up the whole Kuril Archipelago to Japan. Only 7 percent said they would accept such a move under certain conditions. When researchers asked if Russia could allow Japan to take two smaller islands in the archipelago – the Habomai and Shikotan Islands – while keeping the larger islands of Urup and Iturup, 71 percent of respondents opposed the idea. Thirteen percent answered that this would be an acceptable agreement. When researchers asked people’s opinion of another compromise solution – to declare the islands Japanese territory but leave them under Russian management for a significant period of time – 69 percent rejected the idea, with only 12 percent deeming it a viable option. Just over half – 56 percent – of those polled said it was more important for Russia to keep the islands as its territory than signing a peace treaty and gaining Japanese technology and financial credit. Around a fifth – 21 percent – believed the opposite to be true. However, 48 percent of those polled said they considered signing a peace treaty with Japan important, with 38 percent saying the current armistice was enough for successful coexistence. Eight percent of those polled said the islands should become the joint property of the two nations. The conflict between Russia and Japan over the Kuril Islands has lingered since the end of World War II, when a vague reparations agreement allowed Tokyo to claim that the Soviet Union should give back at least part of the archipelago, received as part of the post-war settlement. The Soviet Union insisted its sovereignty extended to the whole island chain – a position the Russian Federation has continued to take. Japan sees the issue as significant and extremely politically charged. In recent years Japanese nationalists have started to mark September 7 as Northern Territories Day, and the country’s diplomats routinely protest when Russian officials visit the islands. Russia however has always insisted that any change in the status of the Kurils would mean a reassessment of the results of World War II, which is expressly banned by international treaties. In 2011, Russia deployed additional weapons to the islands to guarantee the security of the region. President Vladimir Putin and Japanese PM Shinzo Abe met in Sochi in May this year and agreed to hold more consultations on the possibility of a peace treaty and the settlement of the Kurils issue. The two leaders are scheduled to hold a summit in Russia’s Vladivostok on September 2-3.